Sophie's Closet Blog: Take a BOW! Who doesn't love bows? It's the one embellishment that we cherish from childhood to womanhood. Every woman should have something adorned with a bow, whether it's a garment, an accessory or a piece of jewelry. Big bright bows made a summer splash on the runways with Marc Jacobs, Luella, and DVF. What a perfect and fun summer accessory! 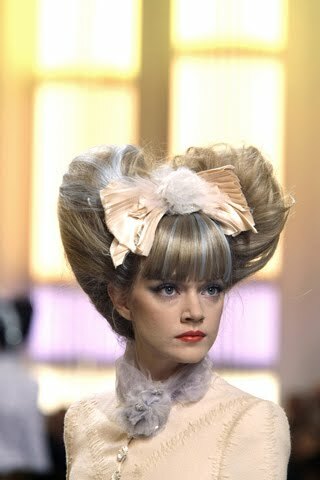 Bows also made a more elegant appearance at the Chanel Couture show in metallic silks and adorned with feathers and jewels. Karl Lagerfeld sure knows how to make a woman look as enchanting as a princess! 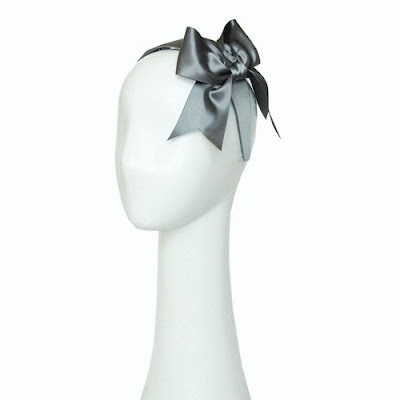 But we think a princess would also wear our Susan Daniels silk bow headband and the adorable Lisa Freede bow earrings. 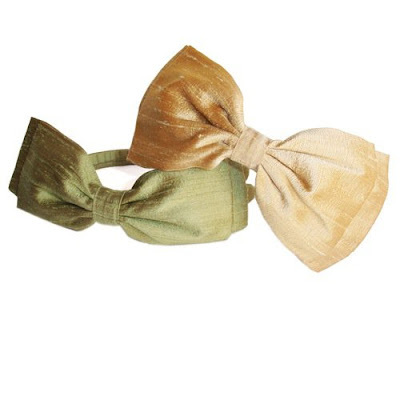 Of course, bows are not just a summer trend. They are also making a fall appearance in earth tones. Still a big statement but a lot more subdued, the way fall should be. 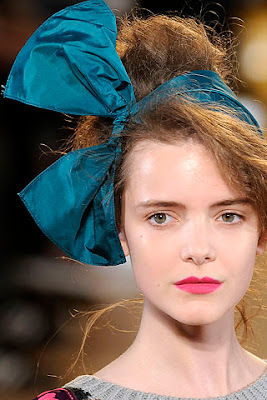 Marc Jacobs must be obsessed with bows because they are showing up in almost every one of his collections. For fall, a bow can be a lovely ornament in sparkling crystals: Ban.dō's headband should do the trick (one can also wear it as a necklace too). 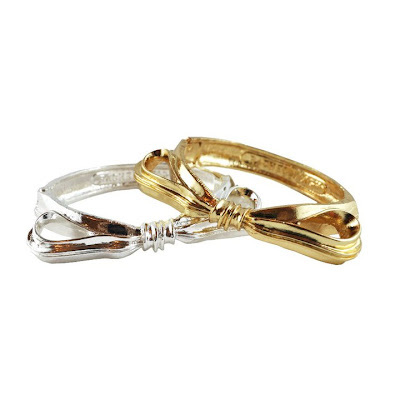 There are also new Rachel Leigh "Audrey" bracelets in silver and gold...they're perfect little bracelets. And, yes, bows are coming back for 2011 too. 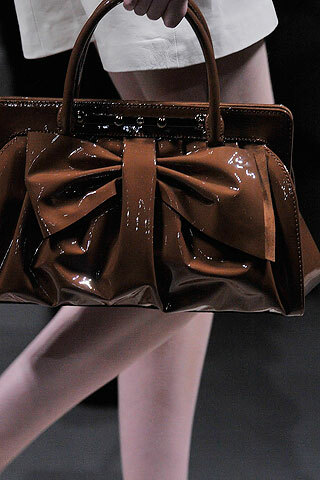 Moschino's Resort 2011 was definitely bow crazy. For a big impact, we are loving Joomi Lim's sequined headband. 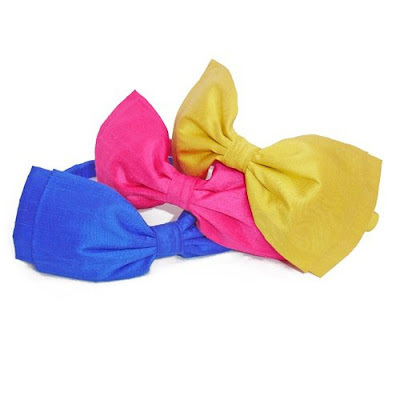 Loud and proud, bows are here to stay!